We’ve been asked if there is an electronic diary for riding centres available that really works in the way centres need it to. Stable Management was designed to work in the way you do and the diary is a great example of this. With its ability to speed up the booking process, you can also repeat lesson bookings, view a whole week at a time and bulk create your Live diary at the click of a button. I know that it all sounds great to have automation, but I would say to everyone, not to get too carried away with dynamic processes. 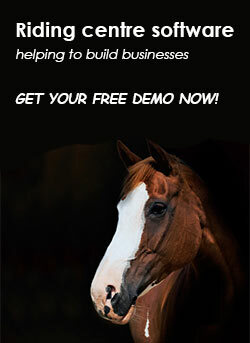 From working with riding centres since 2004, we’ve really got inside the skin of your workflow and have seen how easy it is to lose touch with your clients, so whilst automation works it’s important to be mindful about the business you’re in which can be quite an emotive activity for many people. That said, having the ability to use our software to pull everything together and maintain a more efficient office is really beneficial and the electronic diary is highly effective at delivering a higher level of customer service. It still let’s you communicate with your customers and keep an eye on what’s going on in your riding centre whilst speeding up the booking process so you have more time to sell your products instead of fiddling with a spreadsheet or old paper diary. If you’d like to find out how to improve life at your riding centre with out electronic diary then please get in touch now.